Dasia’s long stretch of pebble and shingle beach can be reached by various side roads leading off from the main road that runs through the resort. The beach gently slopes to clear shallow waters and is ideal for swimming. The waters are also very calm and flat making it safe for children and great for water sports. Although the beach is fairly narrow, the hotels that line the beach have plenty of sunbathing facilities set in gardens. Dassia has excellent water sport facilities with water skiing, scuba diving, paragliding, boat hire, bananas and ringo’s to name but a few. Dassia has an abundance of quality restaurants offering a good selection of both traditional Greek cuisine and unique Corfiot dishes. There are plenty of tavernas to choose from which is one of the main reasons we would not recommend any of the all-inclusives on offer in the resort. There is a good range of both basic tavernas and quality restaurants to keep everyone happy. The Greeks adore children and they are more than welcome in most bars and restaurants. A great way of exploring Corfu countryside. 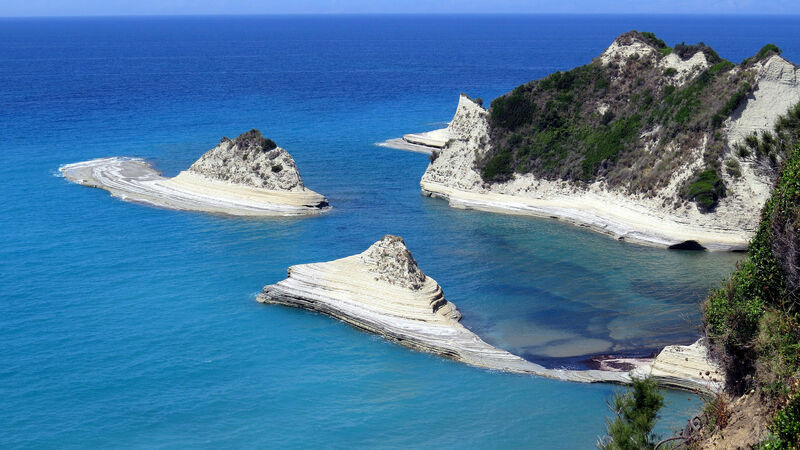 Corfu Greece is one of the most popular islands and attracts every year thousands of visitors. It is the northerly island of the Ionian Group and lies at the entrance of the Adriatic Sea. It is the second largest island of the Ionians. 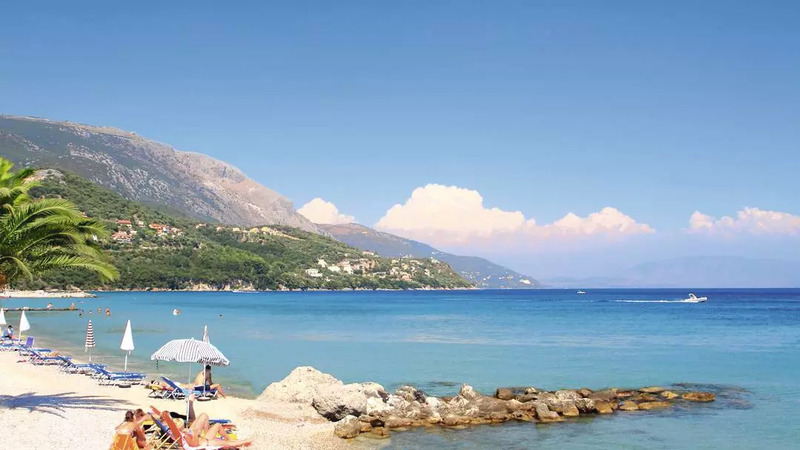 It is a mountainous island with impressive landscapes, dense vegetation due to many rainfalls in winter, long golden sandy beaches, one of Greece most beautiful towns, many traditional villages, Byzantine churches, several museums, impressive Venetian fortresses and lively resorts all around the island. The island of Corfu, Greece was one of the first islands to open itself to tourism and has everything to offer to the visitor. It is also worthwhile noting that since the summer of 2007 Corfu was justly included in UNESCO’s List of World Heritage Sites. The first settlement of the new Corfu Town during the 6th century started on the hill that would later become the Old Fortress. Built and fortified by the Venetians, the fortress housed the entire population of the town until the 13th century. An important part in the islandΆs defences, the fortress was EuropeΆs last defence against the Turkish invasion. A stroll through the Old Fortress will take you through tunnels, past abandoned barracks to bastions and look-out points. The top of the fortress gives a panoramic view overlooking Corfu Town. The high campanile, the marble icon-screen, sections of the ceiling, are the most interesting features of this single-aisled basilica of Corfu, built in 1590. The remains of Saint Spiridon, patron saint of the island, are preserved here in a sumptuous reliquary, crafted in Vienna. Dionysios Solomos came to Corfu in 1828 where he became the leader of the literary revival. Every Greek knows at least one Solomos poem because he wrote the words to the Greek National Anthem. The house where he lived contains memorabilia of his life. 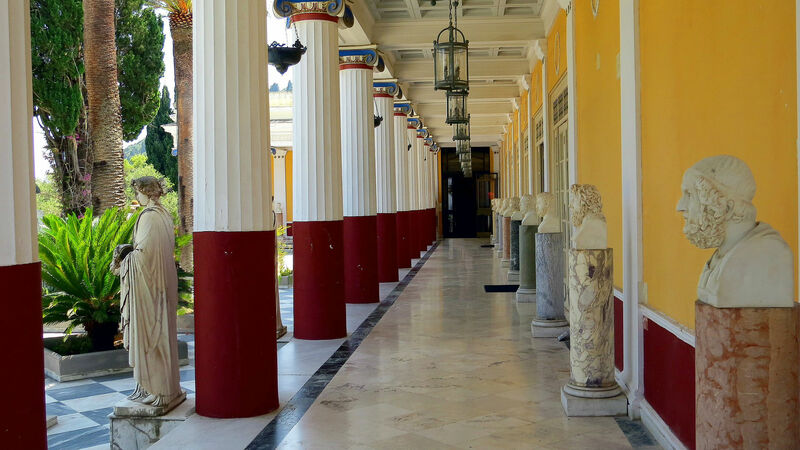 Palaiopolis is located at the peninsula south to the modern city, where the ancient Corfu was built, Its most important monument is the basilica of Palaiopolis which was built in the 5th century AC. over the ruins of a Roman conservatory. 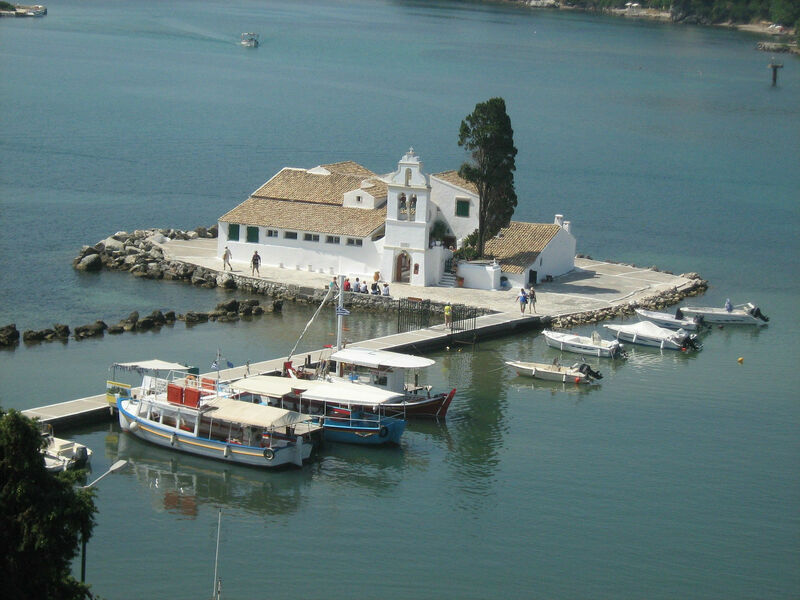 A small islet housing an ancient monastery which today has just one monk, Mouse Island is the most photographed tourist attraction in Corfu. According to legend, Mouse Island (or Pontikonissi) was formed when the ship that had taken Odysseus back to Ithaki, returning to its home port, was turned to stone by Poseidon, angry at being defied by the Phaeceans. Close by is the Convent of Vlacherna. 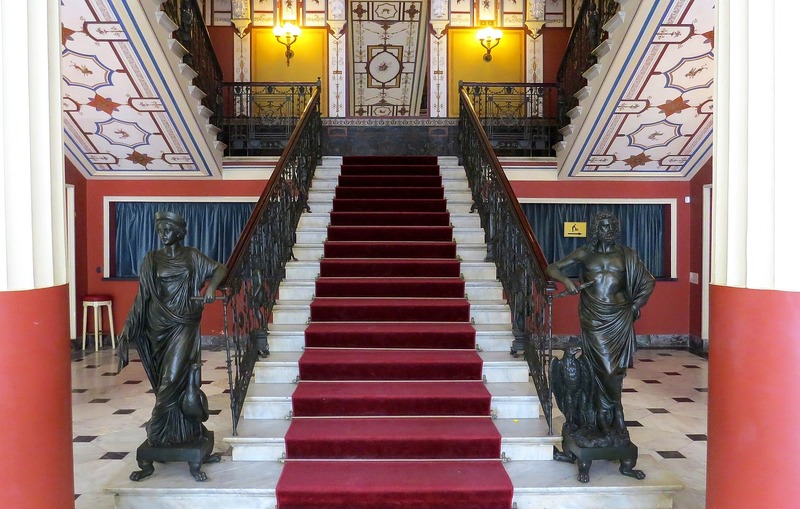 Founded in 1836 by Corfiots and modelled on the Reading Society of Geneva, the Reading Society is the oldest cultural institution in modern Greece. It contains the complete history of the Ionian Islands in an excellent collection of books, documents, manuscripts, photographs and other material. 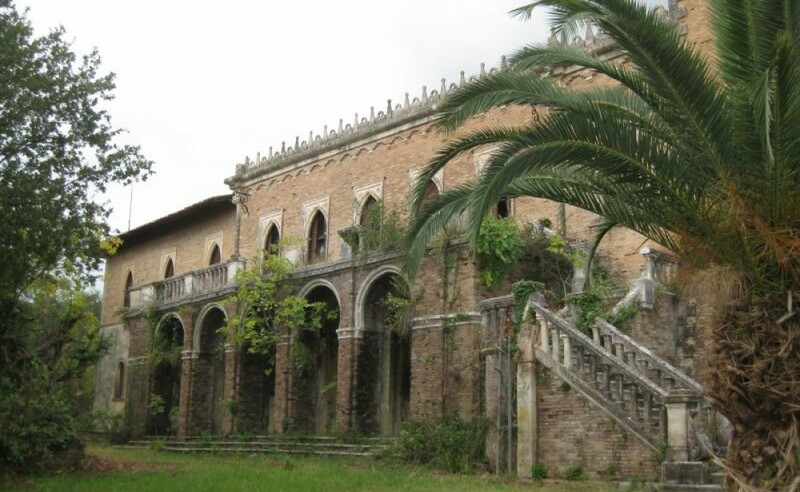 It is sheltered in Castelino (Pheakes Municipality) and hosts from time to time various exhibitions, of Greek and foreign creators. Its a building of the period of the English occupation on the island. Its style is new classic and is surrounded by a garden where a statue of the English Commissioner Adam is placed. 800m of Dassia sandy beach where you can find a variation of restaurants, taverns, cafe bars and discos. 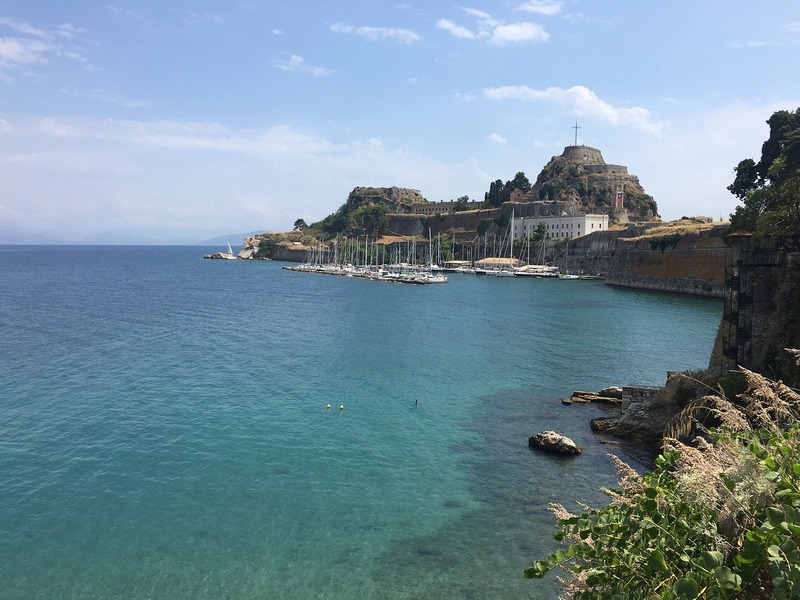 Corfu is a beautiful island and we would highly recommend a car for a few days to explore the area. Corfu has some beautiful beaches. The south and west coast are mainly sandy, while the north and east coast are mainly shingle and pebble. There are beaches for all here, whether you are looking for a huge beach with plenty of sports and facilities or a quiet secluded cove. The beach at Dassia is especially good for watersports facilities. There are plenty of telephone boxes around the island that accept phone cards. The cards are available from most shops and kiosks. Travel offices usually have telephone facilities available. There are two types of buses in Corfu. Green buses are long distance and blue buses are short distance. The blue (local) bus service from Dassia to Corfu Town is excellent and as regular as clockwork. The green (long distance) service runs through Dassia connecting with the north west coast of the island. There is a main long distance bus station in Corfu Town connecting with the rest of the island. 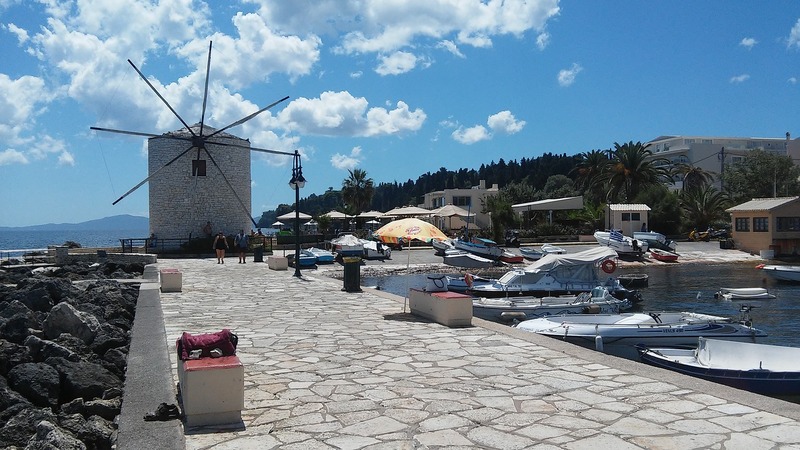 The weather during summer in Corfu is generally sunny. May and September are very warm and pleasant but can be quite cool in the evenings so woolly pullies are a must! 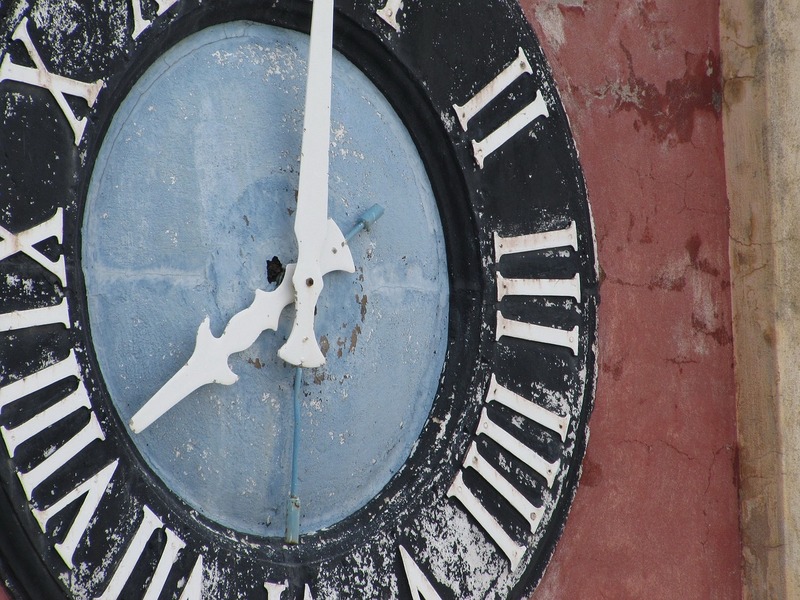 June is hot day and night and July and August reach boiling point! October cools down a little and will be chilly in the evenings. A great day out for all ages with 15 adventure pools and play areas, 36 slides, a huge wave pool, Jacuzzi and lazy river. Refreshments are available from various cafe/bars and sunbathing facilities are in abundance. The sea surrounding the island is normally crystal clear providing excellent conditions for scuba diving. There are licensed diving centres on the island who offer expert tuition from fully qualified divers using first class equipment. You do not need to be a particularly strong swimmer to scuba dive and anyone over the age of 14 can participate (parental permission needed for those between 14-18). 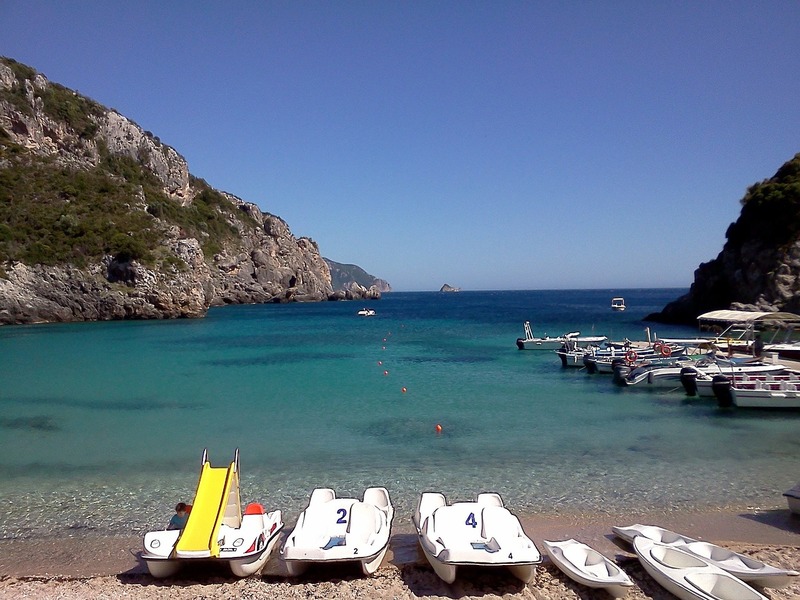 An excellent scuba diving centre is situated just a couple of miles away from Dassia. Situated on the Greek mainland, the delightful and picturesque Parga is only a couple of hours from Corfu by boat. Explore the narrow cobbled streets or relax in once of the bars overlooking the beautiful bay. Paxos is one of the smallest of the Ionian islands and is famous for its crystal clear waters and hospitality.